» MEMBER LOUNGE » Member Discussions » What do you call a SCANDAL fan? Re: What do you call a SCANDAL fan? My money's on "Scandalite". I see it's already been mentioned. Hmm... if their official club is SCANDAL MANIA, shouldn't fans be SCANDAL MANIACS then? How about SCANDALegion for a group of scandal fans and Scandalite for one fan. i like the idea of making fanbase names. 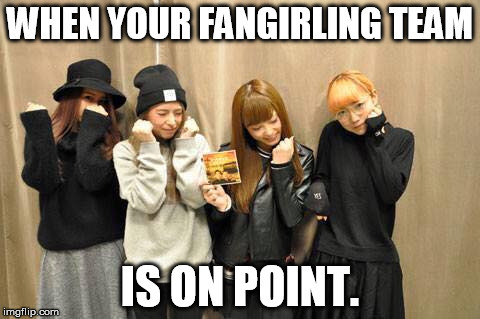 >< so whenever people ask "Are you a SCANDAL fan?" you can say, "I'm not just a SCANDAL Fan, i'm a SCANDALegio/Scandalight,Scandalous or etc. lol we should be proud. we call our self as "___-bias"
I like that. I've never heard it before. SCANDAL IS THE BEST THERE IS! We will never admit that there is Area51!!! tonymiller wrote: I think you would call a 'Scandal' fan someone with good taste in music ! @TonyM: I second this.. very true man..
NathanielG wrote: Hmm... if their official club is SCANDAL MANIA, shouldn't fans be SCANDAL MANIACS then? @NateG: I guess we ARE "Scandal Maniacs", but would'nt other people take it differently? hmmm.. maybe for me.. I agree with the others about "SCANDAL Fan".. it's simple, elegant, and nice.. I believe many would agree that "SCANDAL Fan" is simple yet apt. Ooh YEAH! SCANDAL + FAN = SCANFAN? 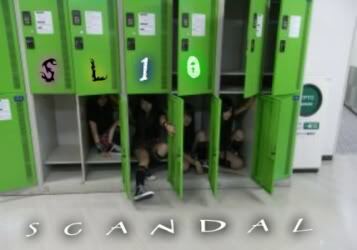 PFULMTL wrote: SCANDAL + FAN = SCANFAN? How about we call ourselves AWESOME for appreciating such a talented, beautiful, and kind band? i like that VP24.. SCANDolls.. Like LIke LIke..
how about we are a race of SCANDALIANS! dont know why, i just loved this name hehe . Lol SCANDALtard. Or maybe SCANtard? Or even Cantard? hmmm... i think Scandal Fan is quite plain for me. SCANDALous is nice. SCANDALite as well. How about SCANDALove or SCANDALovers? 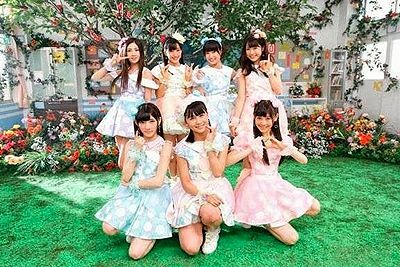 Kimi dake ni . . . Chu! Chu! Chu!